Terry Gross at NPR's Fresh Air interviewed Graham Yost, the producer of TV's Justified, the crime show based on the late great crime writer Elmore Leonard's novella, Fire in the Hole. 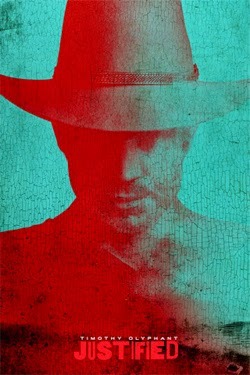 The FX series Justified, which is in its sixth and final season, is based on the novella Fire in the Hole by Elmore Leonard. Leonard was an executive producer of the series until his death in 2013. The show's creator and showrunner, Graham Yost, says he has made it his mission to stay as true as he can to Leonard's vision and storytelling style. 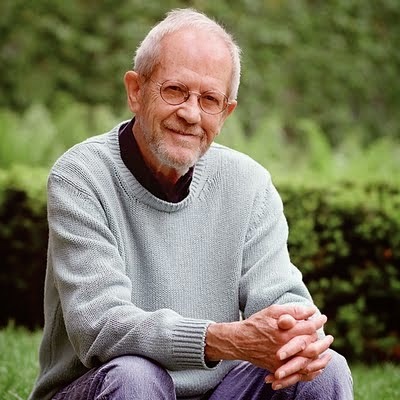 "Ultimately I look at this show as Elmore Leonard's show, and we're all in service of him and his view and his way of writing and creating these characters," Yost tells Fresh Air's Terry Gross. "So whatever feels like it works within that world is something we're open to." Set in Harlan County, Ky., which is coal mining country, the story revolves around two men who have known each other since they were in the mines together as teens: Raylan Givens, played by Timothy Olyphant, and Boyd Crowder, played by Walton Goggins. Raylan is now a deputy U.S. marshal and Boyd is an outlaw whose criminal activities include robbing banks. Raylan wants to move to Florida to reconnect with his ex-wife and their 5-month-old child, but first he wants to bring Boyd down, which means catching him when he pulls off his next heist. The show is violent, but Yost says he and the writers have to walk a line to keep the network happy. "Elmore's world is a violent world," he says. "In the best Elmore scenes, you think that something is either going to take a hard turn into romance and some kind of liaison, or it's going to take it the other way and go into violence. There's often something oddly humorous about the violence in Elmore's movies and in his books."